Playhouse Child Care Center in Sartell, Minn. has installed a fingerprint identity system to avoid unauthorized personnel from gaining access to their facilities, according to a report in USA Today. Playhouse Child Care already employed the use of a keypad security system that required parents and employees to provide a four-digit code to enter the building. The jump to biometric security, however, is a measure that is becoming increasingly common across the nation. The express goal of the biometric technology is to increase the security and safety of the children by enabling only authorized parents, guardians and caregivers to enter and leave with the children. According to the National Center for Missing and Exploited Children, abductions from day care centers are rare, but many day care centers serve families with custody issues. By using distinctive human characteristics like a fingerprint or thumbprint, biometric security measures provides a personalized and safer means of identification. Playhouse cites its jump to biometric technology as a user-friendlier means of identification for parents, eliminating the need for passcodes. Additionally, the the use of biometrics provides increased security as passcodes can be used by anyone, while fingerprints are unique to the individual. Procare Software, provider of the day care security, states that the number of biometric systems in day care centers jumped from 790 units in 2009 to 2,210 last year. 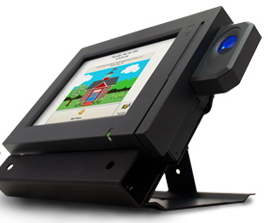 Procare’s biometric readers cost $85, while the software ranges from $330 to $1,700 depending on the size of the center. Read the full USAToday article here.